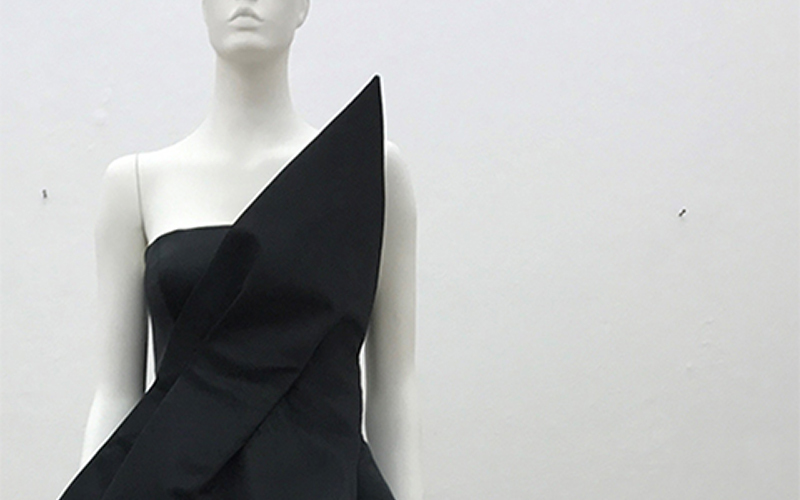 A little black dress designed by BA (Hons) Fashion student Yan Ting Kwok won a Graduate Fashion Week competition to create a red carpet gown for TV star Alesha Dixon. The Britain’s Got Talent judge will wear Yan’s striking design at a TV or gala event in the near future. Competition entrants were asked to demonstrate a range of skills: from the initial creative design to technical specifications, pattern-cutting and marketing plans. Yan’s design was selected by Miss Dixon, Hello Fashion Monthly’s editor-at-large Hilary Alexander OBE, and Mark Evans, CEO of Little Black Dress. Sue Chowles, Course Leader for BA Fashion, said Yan’s design captured “Alesha’s personal style in a truly couture creation”.